Our lifestyle allows us to pursue many different interests, including writing, photography, and graphic arts. 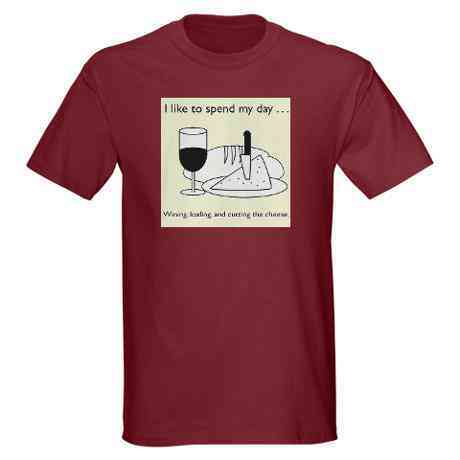 Slowly, some of these projects result in items that can be sold to help support our lifestyle. You'll find them here as they become available. We benefit directly from sales of every item on this page. Thank you for your kind patronage! Aly hand-knits toy dinosaurs, prehistoric mammals, whales, and more. They average about 6" long and 3" high, made of yarn and batting or other stuffing. Because she works without a pattern, each one is a unique creation. Order your own knit dinosaur here. 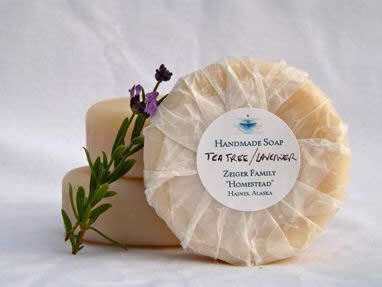 We make our own soap by hand, working together to meet our needs and a little bit extra to share with others, like you. We use coconut and vegetable oils, rather than animal fats. This gentle, healthy combination lathers well, even in salt water, making these soaps ideal for wilderness travel. Our soaps are certified Made in Alaska products! NOTE: Supplies are often extremely limited! Please email us to make sure we have the inventory to handle your order! Not available at the moment. Tea tree oil is believed to have antifungal, antiseptic properties. Lavender repels some biting insects, including mosquitoes and fleas. The two fragrances (from added essential oils) together create a clean, invigorating scent. If you've read our blog, you know we love our Russian tea! We now offer Russian tea soap seasonally, now through Christmas. It's warm citrus and spice smell evokes winter evenings by the fireside. Devil’s club may be the most medicinal plant to be found in Southeast Alaska. Painfully prickly, and, as the Natives named it, “always there when you fall,” the inner bark and root of the plant contain the antidote to its own poisonous thorns, bug bites, muscle aches and pains, and more. The fragrance and color of this soap comes from the devil’s club itself—not artificial additives. Many people find this soap a soothing relief after a day of fighting Alaska’s many biting insects or strenuous activity. Our soap cakes average 4 ounces, in cakes about 3" in diameter, about 1" thick. We sell exclusively at Alaska Rod's in Haines, Alaska, and on this Web site. Because we make each batch by hand, quantities are limited, and vary in availability! We age each batch a minimum of 4 weeks to achieve full saponification. If you're in a hurry, or would like to buy soap in quantities other than listed below, please email us for availability and pricing. Note that the prices below include shipping and handling. The listed price is your total price for shipping in the United States. Sorry, no soap avaliable for ordering at the moment! 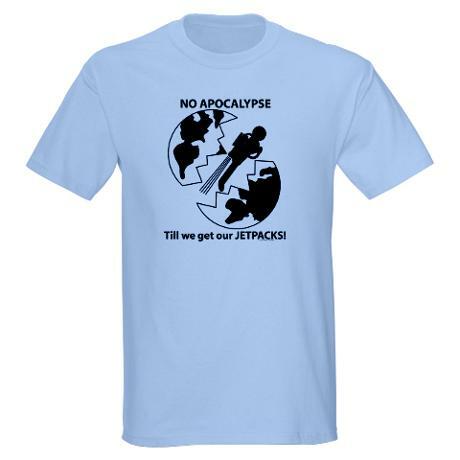 "No apocalypse till we get our jetpacks!" "A glad heart is good for the body"
"I like to spend my day wining, loafing, and cutting the cheese"
Mark's brother, David, developed this great graphic for Guerrilla Gardeners, their allies, supporters, and co-conspirators. Choose from six slogans. These designs are available on a variety of T-shirts and other clothing, as well as mugs, totes, and more. Click on the slogans you like. Want to build your own boat? Check out my brother, David's easy-to-build sailboat designs. 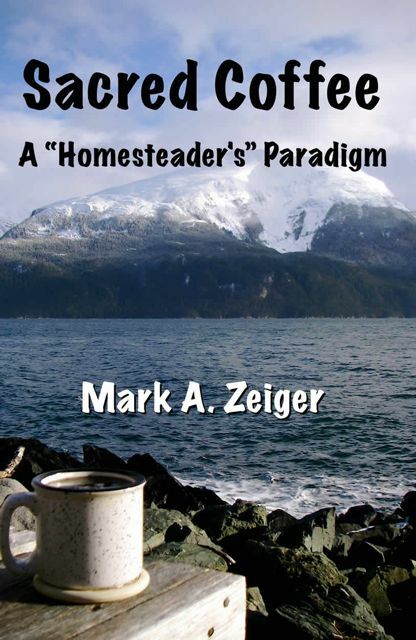 A collection of essays, mostly from the Zeiger Family Homestead Blog, but some as yet unpublished, that focus on the family's paradigm—the philosophies and attitudes that led us to pursue our lifestyle. List price: $4.99 ebook, $14.99 print, $14.99 or $9.99 audiobook. 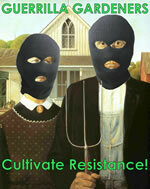 The Zeiger family considers frugality a core family value. They credit their frugal habits with purchasing and moving to their forest homestead on the shore of Alaska's Lynn Canal, where they pursue a semi-subsistence lifestyle. In short, they feel frugality set them free. 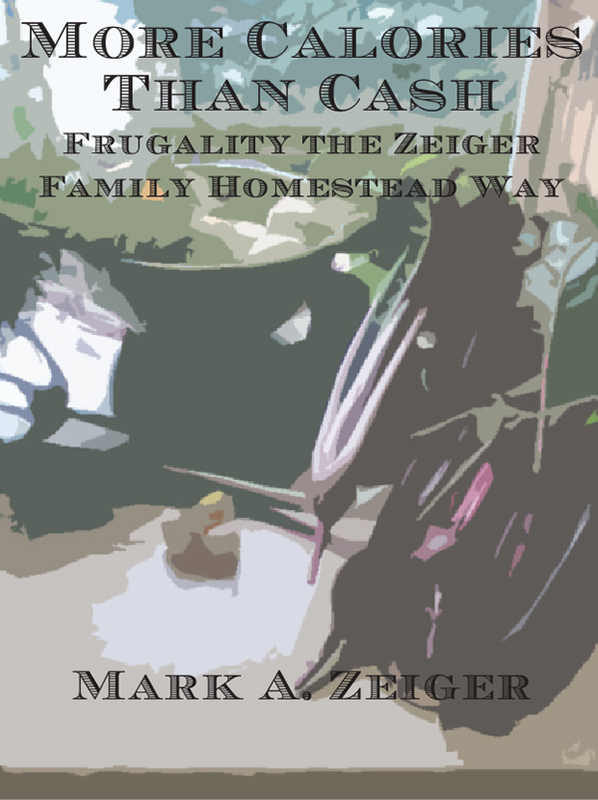 Expanding on posts about frugal habits from their blog, Mark A. Zeiger offers a short course in how to live frugally, the Zeiger Family Homestead way. 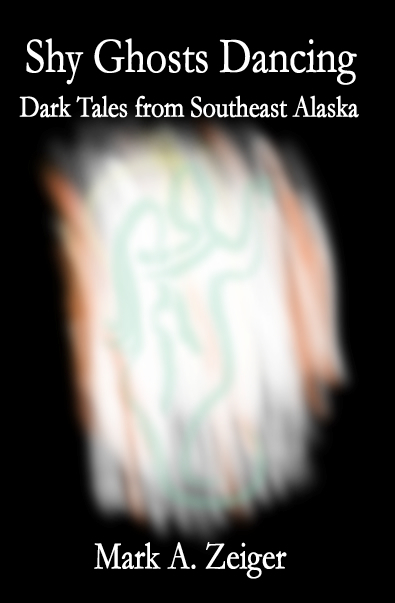 List Price: $1.99 ebook. A Zeiger Family Homestead Website Exclusive. Our booklist details publications, music, and movies that we use and/or enjoy on the homestead, with links to purchase from other vendors.